Greensand Plus™ is a purple-gray filter media used for removing soluble iron, manganese, hydrogen sulfide, arsenic and radium from well water supplies. 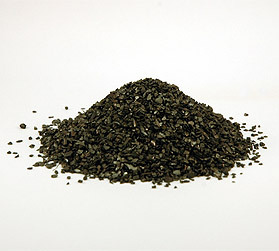 The substrate media has a manganese dioxide coated surface that acts as a catalyst in the oxidation- reduction reaction of iron and manganese. The difference between Greensand Plus™ and manganese greensand is in the substrate that forms the core of the media and the method by which the manganese dioxide coating is attached to that substrate. 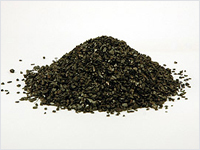 Greensand Plus™ has a silica sand core and the coating is fused to it while manganese greensand has a glauconite core and the coating is ionically bound to it. The silica sand core of Greensand Plus™ allows it to better withstand operating conditions in waters that are low in silica, TDS and hardness. Thus, if you currently are using manganese greensand and are feeding sodium aluminate, you will likely be able to eliminate the aluminate feed by switching to Greensand Plus™. Also, Greensand Plus™ can withstand higher operating temperatures and higher differential pressures than can manganese greensand. The higher differential pressure may allow for a longer run length, but, if nothing else, allows for more operational margin of error. Along with the added benefits comes the fact that Greensand Plus™ is an exact replacement for manganese greensand. 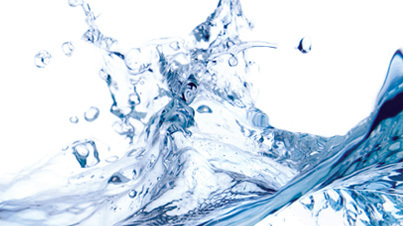 It can be used in CR and IR applications and requires no changes in backwash rate or times or chemical feeds. Greensand Plus™ has received the WQA Gold Seal Certification for compliance with NSF/ANSI 61. It is available in easy-to-handle 1/2 cubic foot bags or 1 metric ton (2205 lbs) bulk sacks. Apparent Density: 85 lb./cu. ft. Shipping Weight: 89 lb./cu. ft. Note: Regenerate manganese greensand with KMnO4 before placing in service.